Attorney General Jeff Sessions has issued a Decision directing the Board of Immigration Appeals to refer cases for his review when said cases have issues relating to when there is "good cause" to grant a continuance for a collateral matter to be adjudicated. Under this Decision, the Board's decisions on the matter are automatically stayed pending the Attorney General's review. 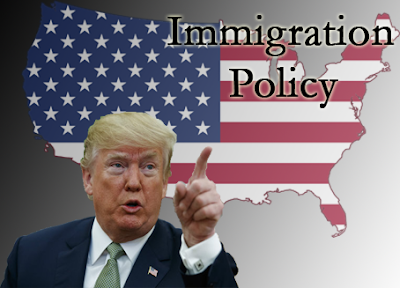 The Department of Homeland Security confirmed that the White House is reviewing a proposal requiring immigration caseworkers to consider a wider range of factors to determine whether an applicant is likely to become dependent on public assistance. The proposal seeks to define the term "public charge" as used in the Immigration and Nationality Act and to define the types of public benefits that are considered in the determinations. U.S. Law authorizes the rejection of immigrants if they are likely to become a "public charge." The Department of Justice and the City of West Spring Palm Beach announced that it has reached an agreement regarding West Palm Beach's Resolution Number 112-17. The City agreed to issue a memorandum stating its position that its local laws do not restrict information sharing with the DHS.